It may be surprising to learn that ear, nose and throat problems – found under the medical discipline of otolaryngology – comprise a large portion of visits to the doctor's office. In this sense, it is no wonder that a specialty area for ear, nose and throat problems is an important focus in medical care. An Ear, Nose and Throat (ENT) specialist is a medical doctor who has received training in medicine and surgery related to the ears, nose, throat and related parts of the head and neck. An ENT has specialised knowledge and training in treating diseases of the ears as well as those afflicting the nose and sinuses. Other areas that an ENT will manage involve the larynx, pharynx and structures of the neck and face areas. Treating disorders of an area as sensitive and important as the ear requires highly specialised training. 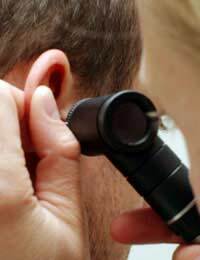 Therefore, an ENT will focus on the treatment of ear disorders. Patients will often visit their general practitioner who will then refer them to an ENT. Ear problems such as hearing conditions, infections, balance issues or facial and cranial nerve disorders are all within the realm of treatment for an ENT. Nasal cavity problems or those related to the sinuses are also common areas of treatment for an ENT. If you think about the enormous numbers of Britons who suffer from allergies each year, you can appreciate the importance of an ENT to provide focused and specialised treatment for sufferers. Even something as vital as a sense of smell is taken for granted but the health consequences are enormous. Breathing and also the appearance of the nose both come under the realm of an ENT. Yet another area of expertise for an ENT is in treating diseases of the voice box – known as the larynx – and respiratory conditions or oesophageal disorders. Patients who have problems swallowing might also be referred to an ENT for accurate diagnosis and treatment. The head and neck areas are equally under the expertise of an ENT. An ENT has specialised knowledge to handle infectious diseases and tumours, both benign and cancerous ones. People who suffer from facial deformation or have received trauma to the head, face and neck areas are also likely to be referred to an ENT. Some ENT professionals will work specifically in surgery, where they effectively take on the role of a reconstructive surgeon or plastic surgeon. If you are one who can independently make important, rapid decisions while still functioning successfully in a team, then you have two important qualities for an ENT. An ENT professional quite often can work within a team of various medical professionals and surgeons, which helps to ensure the best outcome for the patient. ENT professionals can work in conjunction with neurosurgeons to treat disorders of the skull or they may work with seasoned plastic surgeons to address cosmetic issues from trauma sustained to the head, face and neck. Ophthalmologists are another profession that work with ENT specialists to treat eye conditions. Even dentists can be involved with an ENT specialist to treat deformities of the jaw and teeth. Furthermore, a dermatologist may require consultation for cancers of the skin in the head and neck areas. Some ENT professionals may also choose to specialise in working with children – known as the field of paediatrics. As with any specialist career, an ENT is a registered medical doctor who has completed a lengthy education along with exams and practical internships. However, following physician status, specialised training occurs in the areas of the ears, nose and throat. Overall, a person can spend as many as fifteen years of training and graduate level work to become a qualified and successful ENT. While the lengthy training can seem overwhelming, the rewards may well be worth it. You would be working in an area that involves both the aesthetic aspect of facial deformities and the functioning and health of some of the most important areas of the body – the head, face and neck. You will feel the rewards of restoring the self-esteem of those who suffer from deformities and have sustained trauma to the head. Not only that, but you will also have the benefit of working with other professionals to support the patient's health care. If a career as an ENT has sparked your interest, then consider reading more on the subject and speaking to professionals in the field. You can bring your own personal attributes and hard work to provide great benefits to patients.